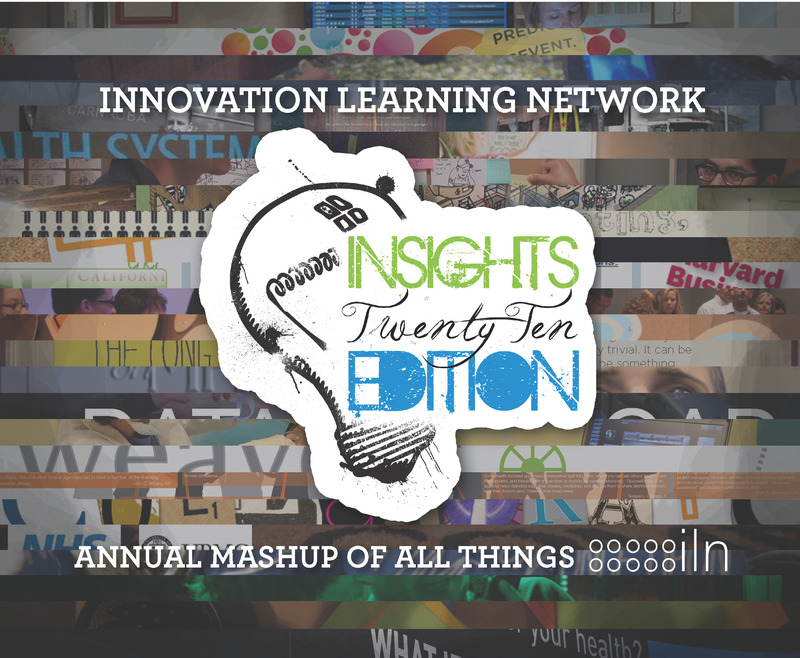 For this week’s blog I want to simply share the Innovation Learning Network’s Annual Insights. Each year the ILN packages up the coolest techniques, workshops, explorations and ponderings to share with the public. It’s the culmination of a year’s worth of mixing 20 healthcare organizations, foundations and design firms. I invite you to grab a glass of wine….and get inspired! What am I working on? Or what is the design challenge? For the uninitiated these may seem like silly questions. But rarely is a design challenge crystal clear. More often than not, it’s murky at best. It is the role of the designer to clarify, and point the way to opportunities where there didn’t seem any before. And the final phrasing of the design challenge is perhaps one of the most important elements especially if you are co-designing (more on that in another posting). Take for example a recent challenge that I was asked to pose for the Service Design Network Drinks night. My friend Jamin Hegeman hosts this informal monthly gathering. He asked if I could bring a healthcare challenge to the group. The challenge I brought was one recently posed by the Innovation Learning Network, “non-healthcare provided healthcare”. We gave a few personas to help focus the drinkers, but did not provide much more guidance. From my sequestered healthcare life the challenge seemed obvious. However the group used the challenge to launch into all sorts of crazy and exciting areas from senior adventure tours and dementia television to church-based care and tech-enabled homes. All incredible stuff, however I was looking for their exploration of “off loading” the healthcare basic from the current healthcare system to non-healthcare systems. And THAT was the guardrail I did not provide. The guard rail is the design constraint. Although called a constraint, I tend to see them as liberating. They reduce the universe to a galaxy to a star system of ideas. Most business leaders don’t want a universe of solutions, but something closer to the realm of the problem. It’s a delicate balance though. Too many guardrails and you will end up with known mediocrity. Too few and you won’t solve the problem. Guard rails need to be as carefully vetted as the design challenge itself. So if I could do it again? Of course the senior adventure travels might have not been born.